Got a tax check that’s burning a hole in your pocket and thinking about some new wheels? Or maybe you’re looking to hit the road this summer. Of course you could outright buy a new car, but there’s also an option to lease. Leasing a vehicle is becoming a more and more popular option. Nearly one-third of car sales are now leases. But which one makes more sense? 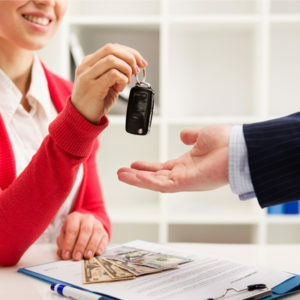 Depending on your situation, it is important to carefully weigh the drawbacks and benefits of leasing vs buying a car. Before you can really make a decision on whether to buy or lease your next car, you need to ask yourself a few questions. First of all, what will you be using the car for, business or pleasure? If you drive for work (taking clients to lunch or travelling to meetings), it’s possible for lease payments to be tax deductible. But if your new whip is mostly for the pleasure of customizing with rims, spoilers, tints, etc, you probably won’t be happy with the terms of a lease. However, a lease does offer the ability to switch to a car with the hottest new features more frequently that buying a car would allow. Another factor to consider is how far will you be driving the car. A standard three-year lease contract allows for 36,000 miles. But if you go over that mileage, the fine print of your lease could cost you up to 20 cents for each additional mile! Also ask yourself how hard you tend to be on vehicles. Do you (and your kids or passenger friends) keep a clean car interior? Can you keep the exterior nice too? 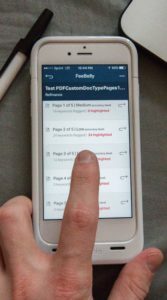 Most lease contracts allow for ‘average wear and tear’, but “the term ‘normal wear and tear’ is the largest disconnect between consumers and manufacturers.” So, unless a fine print detective has helped to point out the details of the terms, a lease could end up with more hidden costs for nicks and stains. And one of the biggest questions to ask is how long you plan to keep the car. If you are only planning to keep it for a few years anyway, then leasing might make the most sense. But don’t end the lease before the term is up, or you’ll pay for it in fees! It’s important to weigh the financial benefits of leasing vs buying a car too. If credit is your strong suit and not-so-much cash to spend, a lease could be a better option to maximize short-term cash flow. 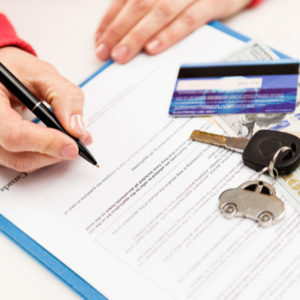 The down payment and monthly payments for leasing are usually lower but can add up to a to a greater total in the end. With a lease you’re only paying for depreciation of the car for the years you’re driving it, not the total depreciation cost of the vehicle. But usually, within the leased years is the steep, first-year value depreciation. You’ll also pay less sales tax on a leased car, as tax in most states is calculated by monthly payments (lower when leasing) and not the total cost of the car. Ok, great, tons of information, but still not sure ‘which one makes more sense’? In reality, the longer you own a car, the more money you’re saving, so buying is the cheaper long-term option in most scenarios. But the answer has to be custom to your situation (based on the wheels and the deals that fit your needs). And remember – it is just as important to read the fine print as it is to weigh the benefits of leasing vs buying a car before signing a contract. 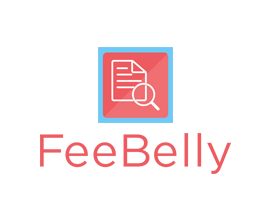 Both types of deals generally come with hidden fees and costly terms that need to be included in your decision . – Lower down and monthly payment – More predictable total cost of ownership – Higher total cost (especially if leasing a few times in a row) – No need to worry about sell-back or trade-in price – Rules and regulations to follow regarding mileage and maintenance -Only short-term and does not accrue equity in the car -Lots of hidden fees to avoid in the leasing contract! – Less predictable future value for resale or trade-in – Usually higher down payment and monthly payments – Lower total cost (and potential to be finished paying after 5 years) – Outright ownership after loan payments are complete – Options for customization and worry-free ‘wear and tear’ – Still lots of confusing loan terms and hidden fees when buying a car!